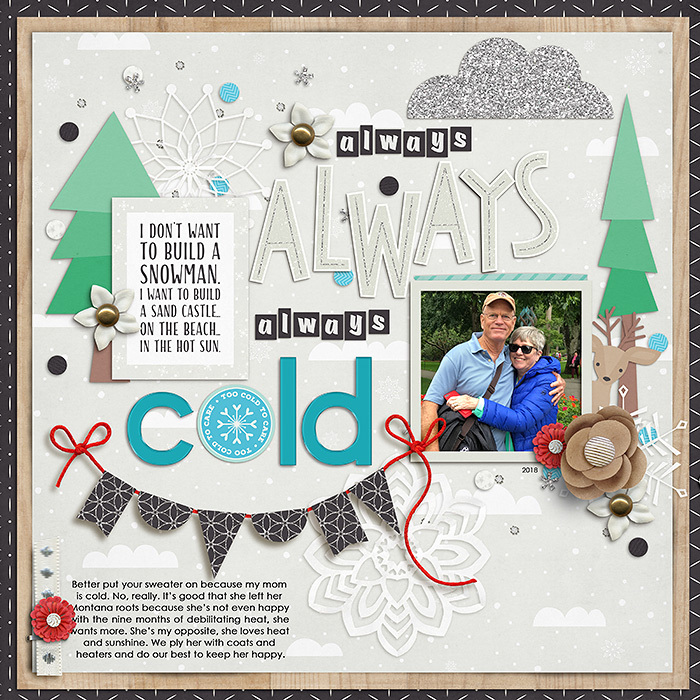 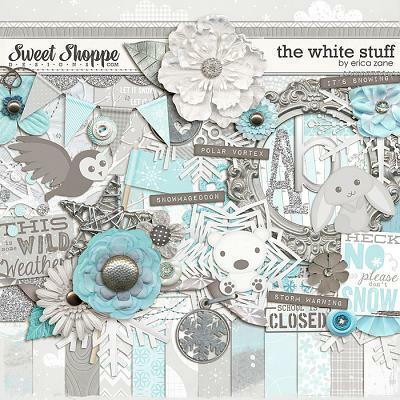 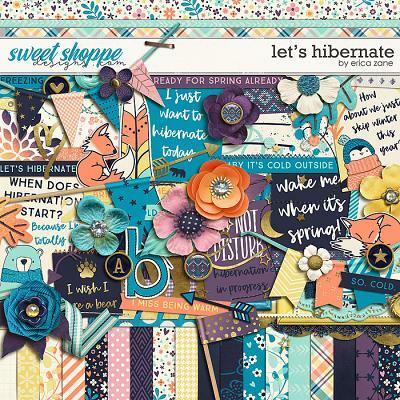 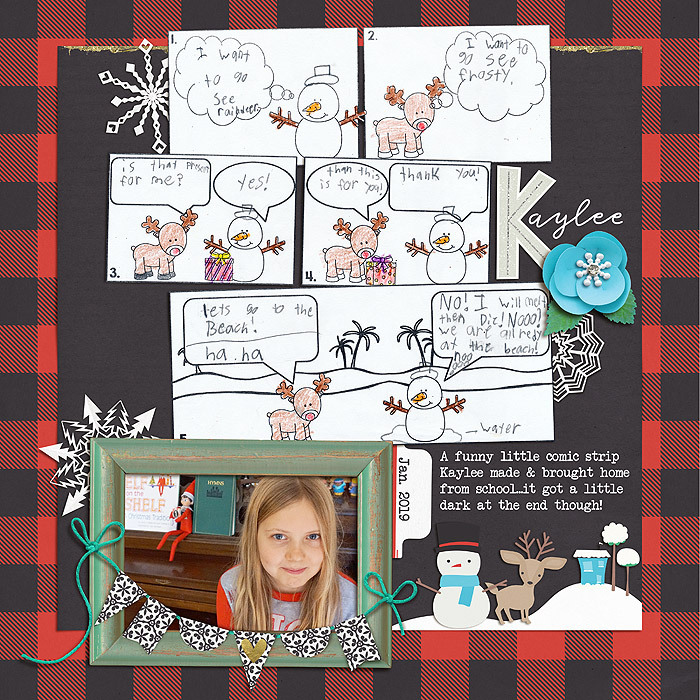 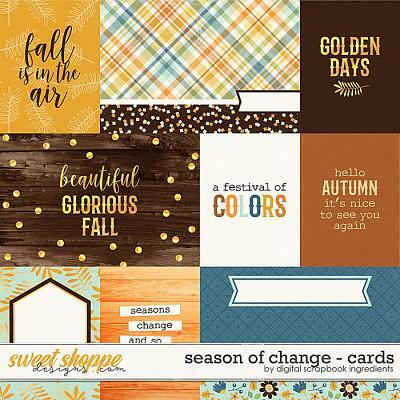 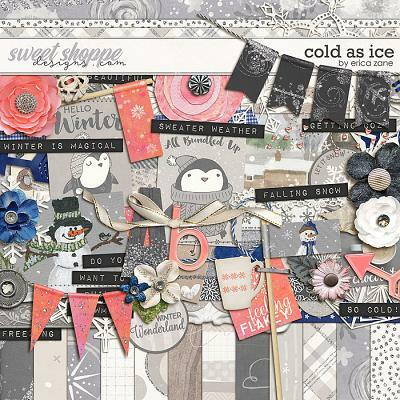 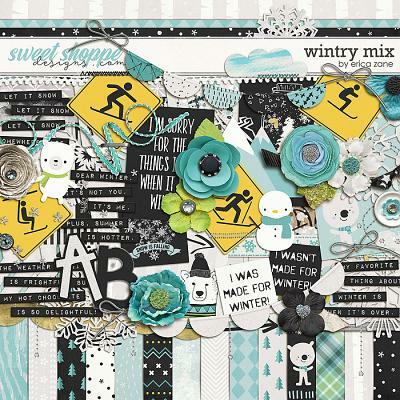 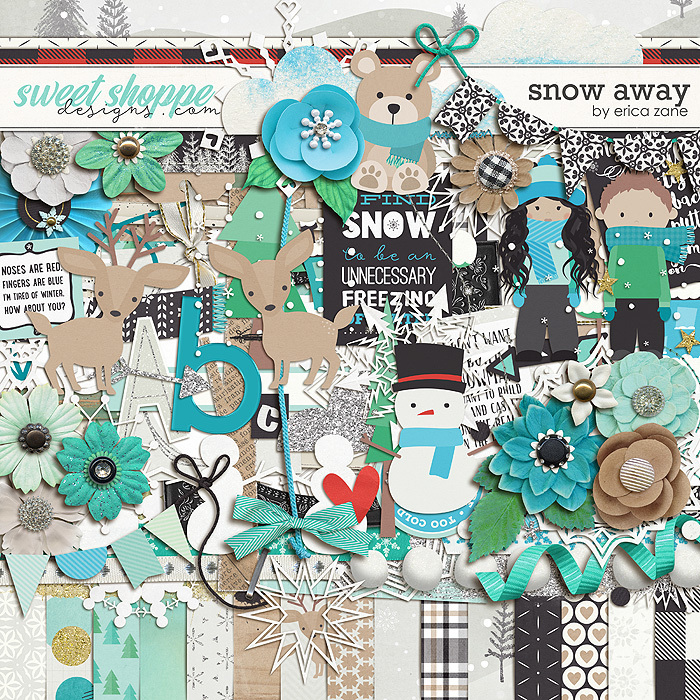 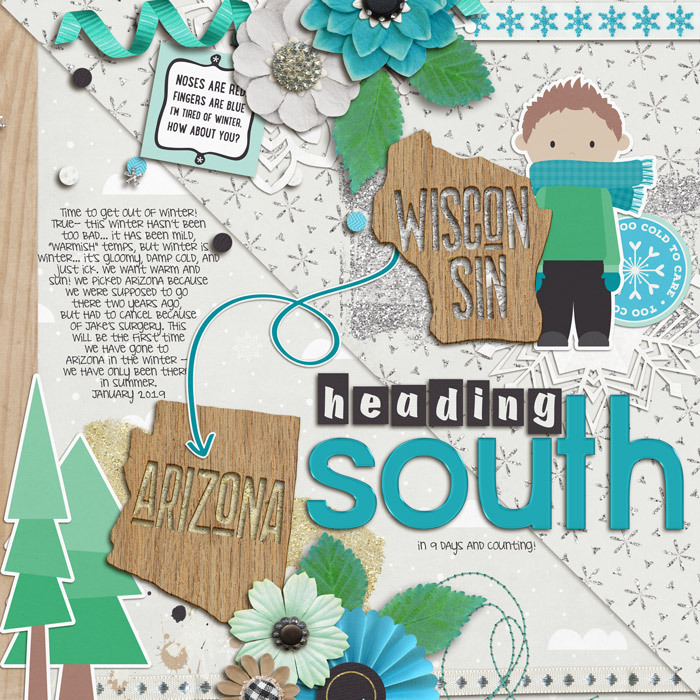 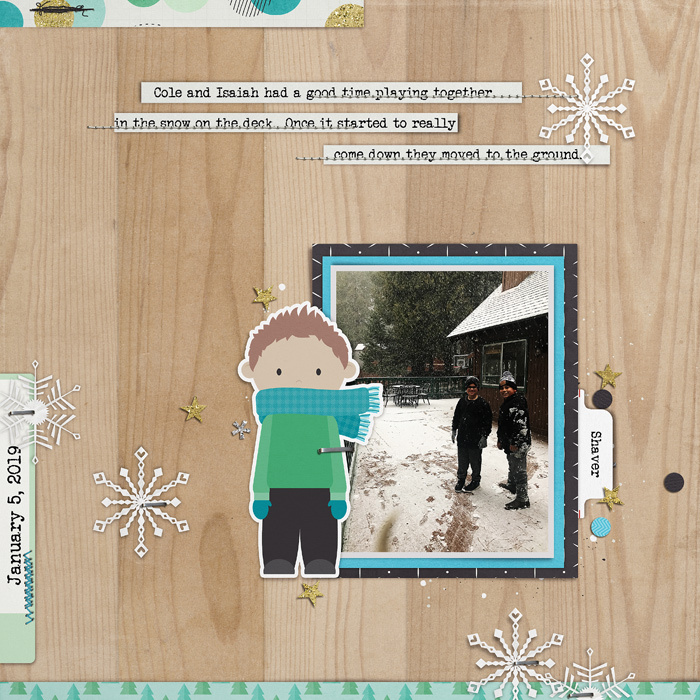 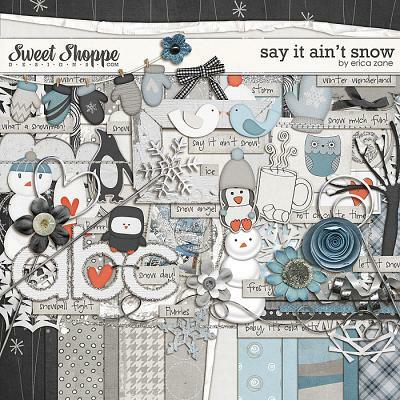 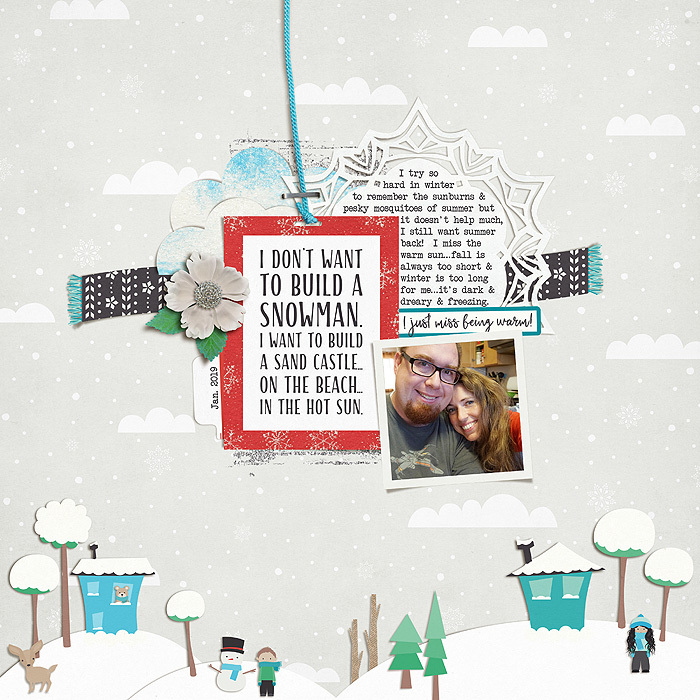 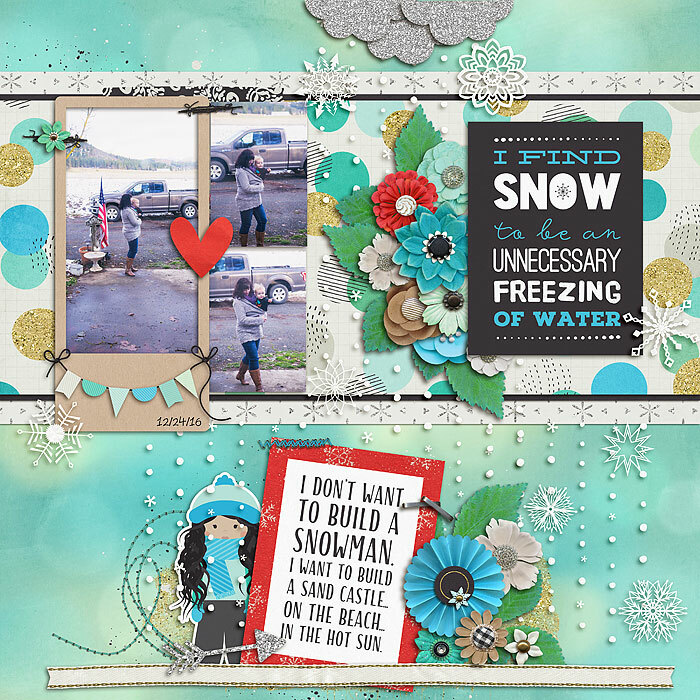 A digital scrapbooking kit by Erica Zane, Snow Away is full of wintery goodness for your scrapping projects! 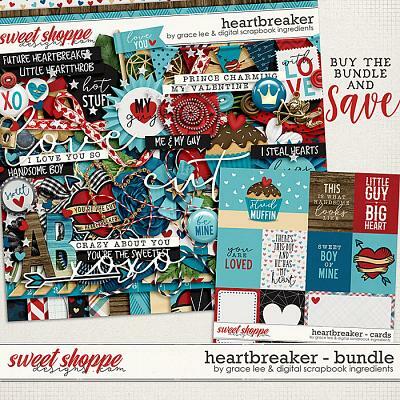 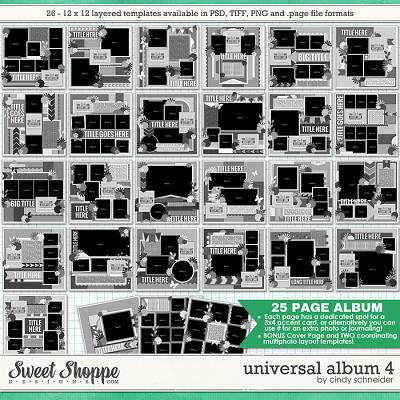 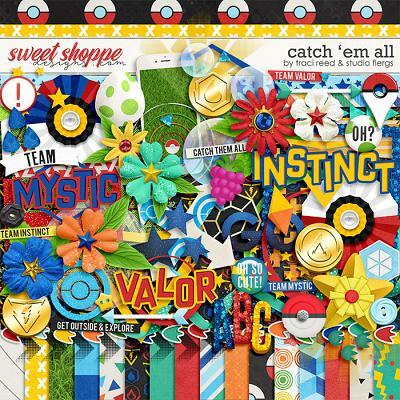 Packed with 27 digital scrapbook papers (32 total), more than 90 digital scrapbook elements and 3 digital scrapbook alphabets (saved as individual .png files). 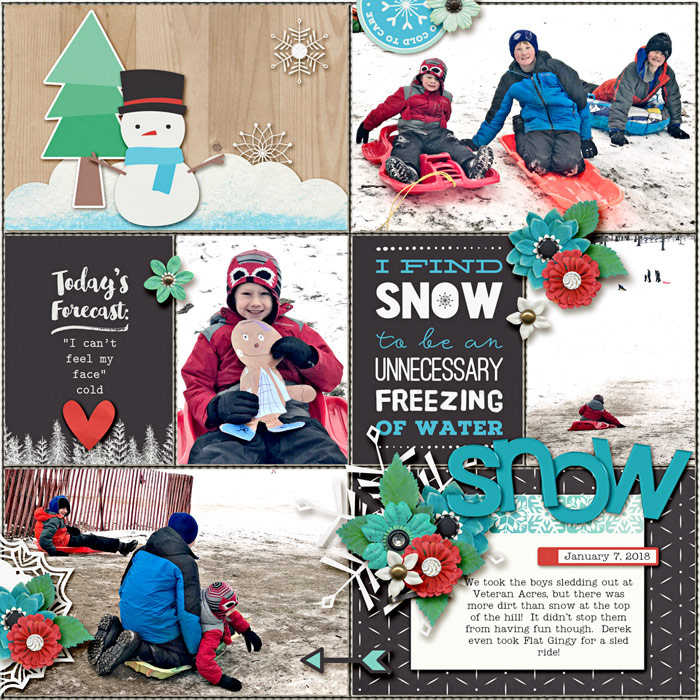 The elements include: bundled up boy & girl, bear, deer, arrows, banners, clouds, snow, snowballs, snowmen, snowflakes, heart, houses, scatters, trees, rosette, scarf, stitches, word art, journal cards, flowers, leaves, ribbons, string, frames, tape, paint, tab, labels, tag, bow and a staple.